Everyone’s favorite blue and yellow can, WD-40 Multi-Use Product was developed by WD-40 Company over sixty years ago. The California-based company created a multi-purpose product that works as a lubricant, penetrating oil or a cleaning solution among others. 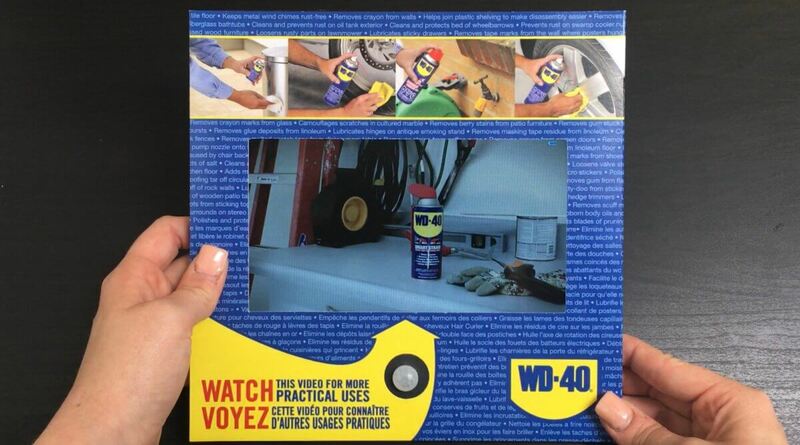 WD-40 Company showcases the different uses of their original WD-40 product using bigDAWGS’ Video Shelf Talkers. We made shopping easy for you by creating a shelf talker that displays video presentations regarding the product. Visit bigdawgspromotions.com to see more of our products!